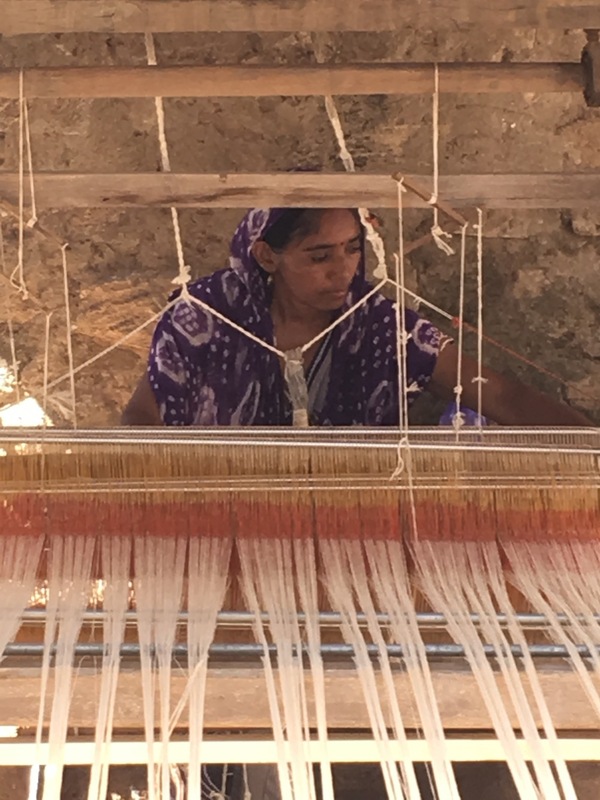 Whilst I hold the fort in the fog in London, Graham is currently in sunny India visiting our amazing textile artisans in the remote Kutch (or Kachchh) region, west of Ahmedabad in Gujarat. 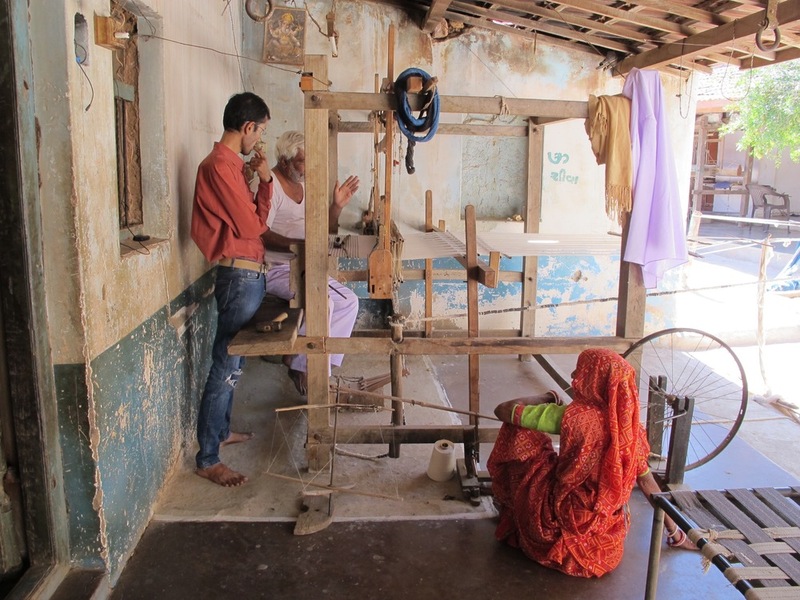 Here, I thought I'd share some images Graham has taken of his visit to our kala cotton weavers, who make our Organic Kala Cotton Towels, Scarves and Indigo Kala Cotton Cushions. The first batch of yarn produced in the new hand-spinning unit. Most of the looms are traditional "pit looms"
This lady is actually weaving one of the cloths for our new Chindi patchwork collection! Our collections are constantly evolving - if you'd like to be kept up to date with new developments, please join our mailing list!